DB Services is a leading provider of FileMaker consulting and development, FileMaker coaching and training, and is an authorized FileMaker reseller. We are a team of analysts, developers, and designers creating custom applications. We build FileMaker solutions suited to your needs, including mobile devices and integration with the web. The process starts with workflow analysis, continues seamlessly through project management, and finishes with a clean, easy-to-use database solution customized to your business demands. Our focus is to add value to your organization through improved workflow systems, generating rock-solid code by FileMaker Certified developers, and designing intuitive user experiences. Kevin Hammond is President at DB Services. 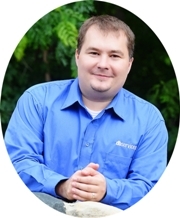 He is also a Certified FileMaker Developer in 13, 12, 11, 10, 9, and 8. Kevin is passionate about FileMaker as a custom software platform and is constantly on a mission to improve how he approaches each assignment. He loves baseball, having played, coached, and volunteered at a variety of baseball levels, including work as an organizer for AAU baseball national championships. As a graduate of Indiana University's Kelley School of Business in Computer Information Systems, Business Process Management, and Operations Management, he is naturally a rabid Indiana University basketball fan. When he's not tackling customer projects, Kevin applies his business process research into growing DB Services. He has completed the Reach Series course "Building a Business that Runs Without You" by CJ McClanahan as well as Enterprise Consulting's Project Management course by Diana & Steve Burgan. Kevin is married to his childhood neighbor, Ellen, with whom he has two kids. CEOCFO: Mr. Hammond, what is the focus at DB Services? Mr. Hammond: We build custom applications for organizations of all sizes, focusing on providing value through rapid development in the FileMaker platform. We develop for the web, iOS, and the Mac and Windows environment. CEOCFO: Would you give us an example of a usual task or time when a company would turn to you and maybe something a little bit more complicated? Mr. Hammond: Over the past few years, we have seen the marketplace evolve from focusing on building stand-alone applications to integrating many different providers in applications. At the core, though, we find there are three challenges in which we help customers solve: One, there�s scattered information. The data could be in filing cabinets or in somebody�s head or on many spreadsheets, so we bring together scattered information. Two, we also streamline ad hoc processes. Maybe one person does something in the organization and if another person does it, they do it differently. This could cost an organization if poor decisions are made. Third, we resolve misfit technologies, as many applications are not tailored to the organization. To give you some specific examples, it could be integration with a cloud service provider, integration with shipping, integration with accounting, or something that may have involved manual steps to rekey and involves duplicate or sometimes triple data entry. Automating and streamlining processes will continue to be our focus and a growing trend. CEOCFO: There seems to be a lot of programs, systems or applications today that claim they can do that fairly simply. When does a company realize they need something more customized? Mr. Hammond: All thought leaders in their respective industries eventually evolve and grow to the place where they are unique, or they most likely do not survive. In the course of growing and differentiating yourself in the marketplace, you need unique systems to handle your unique workflow, service, or product. That is when people typically turn to us�where they have grown to a place where adding people alone is not the solution. We need to rethink how we work so that we can do more for less. I think each organization and each department head starts to understand when it�s time to improve the processes because managing the process becomes too difficult. Leaders have a good pulse of their business and what they can do better so they continue to focus on their organizational mission and goals. CEOCFO: Would you give us an idea of how you approach a project? What are possibly some of the things you might look at given the experience and knowledge of the company that others would not think are of consequence? Mr. Hammond: The first thing I always try to understand is the goals of the organization. Sometimes people come to us and look at us only as programmers. Before we embark on any endeavor, we want to know the vision and goals of the organization so we can ensure we hit those spot on. That really encompasses the mission of our company, which is to always provide value. With any engagement and any relationship, we are always seeking to understand the vision and the goal of the project. CEOCFO: How do you differentiate between what a company says and thinks they want and what they really do want? Mr. Hammond: The closer you get to the end users, the better you typically understand what they need. In order to get to that, you really have to turn over every stone and ask the right questions. I think it is very important from the analyst�s side of things to understand the workflow and the data flow and sometimes that means watching the users at work. In the course of understanding the process, you then can apply your knowledge of the tools we are experts in and how to really build an application that will transform the organization. CEOCFO: Why do you like FileMaker? What are some of the advantages that you find? Mr. Hammond: FileMaker, at the core, is a tool that provides extreme value. You can do things really quickly comparatively to traditional programming tools. I look at working on a project that is going to take 10 years, I respectfully understand that could be an exciting project for many people. They could enjoy it. We are able to take the FileMaker platform and do things in weeks and months with FileMaker that is truly amazing and transformative for the customer. That is what really attracts our organization and I to FileMaker. CEOCFO: Do many of your clients or perhaps previous clients come to you when there are updates for FileMaker? Mr. Hammond: We communicate to our customers how important it is to be on the latest version of FileMaker at all times. When new versions are released, we work with all of our customers helping them upgrade to the latest technology. You have to look at it for many different reasons. First and foremost, as new technologies come out, new capabilities come out, which then can transform your organization to doing more with less. At the same time, we are very much a leader in the industry in spending the time and money on our staff to educate them on the latest version and latest platform so they can then provide our customers with that knowledge and capability. Unlike some other organizations where they sometimes fear change, we embrace change. We understand that we are change agents in organizations, so having a staff that is very capable on the latest version is critical for us, and our customers will get the most value working with us on the latest technologies. CEOCFO: Does FileMaker provide you a list of things they have changed from one version to the next or do you have to find out for yourself? Mr. Hammond: FileMaker provides many different ways for you to understand the updates. One of those is that they have what is called the FileMaker Technical Network also known as TechNet. If you sign up for the Developer Subscription for $99, then 30 days before the new version comes out to the public, you will receive a beta copy, test it, drive it and feel it. That is really valuable and our staff loves to do that, but what I really find is that FileMaker has great documentation. They talk about the changes in the ReadMe files and they also talk about the behavioral changes. Sometimes programs have behavioral changes. We just devour that internally when that documentation comes out. We read the fine print and all that stuff, discuss it and test it. Literally within a few days, our staff is trained, comfortable and understands it. Then we go out and educate others on the latest technology. CEOCFO: How do you help the end user employee transition if it is email, Excel or however they are working? How do you ease the transition? Mr. Hammond: Education and training. Those are the areas we recognize that, when there are new users, new organizations, and new departments using our applications within the platform, we are going to have to spend a little bit more time explaining to them how the program works and how they can utilize it. We really approach it through education, training, and taking the time to teach them how the application works and the benefits of going from paper or Excel or another application that was not suited to them to their own application. Many times, we find that to be a very smooth and easy transition because they can do more with less. CEOCFO: Your site indicates a list of companies you have worked with and a fairly large range. Are there particular industries, particular sizes or particular types of organizations? Mr. Hammond: We work with a broad range. That has never changed. We have worked with the top Fortune 100 companies before all the way down to the small shop with just a couple employees. It really speaks volumes for the platform because you can do projects all over the board when it comes to budget range. Other traditional programming tools would be vastly out of the range of the smaller workgroup or company. We do not necessarily work with a specific industry; we work across a broad range. It is a ton of fun doing so, and it keeps everybody here feeling like tomorrow is different than yesterday. CEOCFO: How do you reach out to potential customers? If someone is looking, how would they find DB Services? Mr. Hammond: We have grown over time immensely using Internet marketing to target the audience that suits us. Many times, people are looking for application development or database development, and they then come to us and speak to us. At the same time, we also work closely with Apple retail stores, presenting the FileMaker platform to a broad range of business users within the store. We also promote ourselves by presenting at local FileMaker User and Developer Group. Those are the primary channels for how we obtain new business. Mr. Hammond: I personally feel very upbeat about the economy. We just recently hired two more people this week full-time, so that is always exciting and really the best indicator to answer that question. I think people in our industry have immense demand. Organizations consistently have to improve their usage of technology and adopt custom applications along the way. I do not see that changing anytime soon, and because of that I am very excited about the short-term and the long-term. CEOCFO: What have you learned with your involvement with baseball that has helped on the business side? Mr. Hammond: We actually work with one of Major League Baseball�s team�s coaches and we provide FileMaker coaching for him. That is really fun. I have played many organized sports, but I really enjoyed and did a lot in baseball. It has taught me how to work within a team. That is the thing that I always go back to. I grew up playing catcher, so I was one of the few people who could see the entire field at all times. You had to direct players in the right position, cut off throws, and call pitches and location with the pitcher, but it really taught me to understand how to work with a team, how to maximize your team�s talent and how to build a great team. I have always looked at sports and tried to apply them to business and to life. Mr. Hammond: I think there are really three things that we focus on when we look to hire. We want to make sure that you have the ability to do the job. We look for motivated people, we want people who enjoy the job, have passion and bring that to their work every day. The third component is we want people that will embrace our culture and fit in with the team. We want to build a great culture and we want a great team. We spend time to make sure in the process that they fit those three categories. CEOCFO: Do you know when you first talk to someone if they are the right fit? Mr. Hammond: Fortunately for me, we have a great person who works with us in the hiring process. They understand our culture, our team and our business. I leave a lot of responsibility to them. To answer that question, yes they do. They know if that person is not a good fit. Our process throughout hiring focuses on those three elements we look for. The process does a great job making sure that the people we hire will be great fits at DB Services. CEOCFO: What is ahead for DB Services? What might be different a year down the road? Mr. Hammond: We are doing some exciting things in regard to launching a product that can help smaller organizations or new organizations new to the FileMaker platform. We have not announced that yet, but we are working in the labs here and are building, testing, and starting to gain momentum on it. We expect to release that to the public in the short-term and I think that is going to give great opportunity for us to get in to those smaller budgets. You see software and applications on the App Store being nearly free. All the time, that is what people are expecting. We are trying to approach a few new markets by giving people something free. Over the course of time, we know that people who want to work with a great company and customize it will work with us. That is over the short term. We always want to expand the platform and expand our services, and I think that is going to do that. Over the next year or so, we will continue to grow as needed. We are expanding our office space and signing a new lease, so that is fun as well. Mr. Hammond: I am very excited about the future of not only the economy here at home. If you watch the news, you will hear gloom-and-doom for a variety of reasons, maybe it is medical or trouble in other countries. I personally have seen and I believe we will continue to see our economy grow. The people who are in the industry of technology have a bright future and, specifically the FileMaker platform, I am very excited about the short-term and long-term.